High School of the Dead: a cross-cultural clichés? 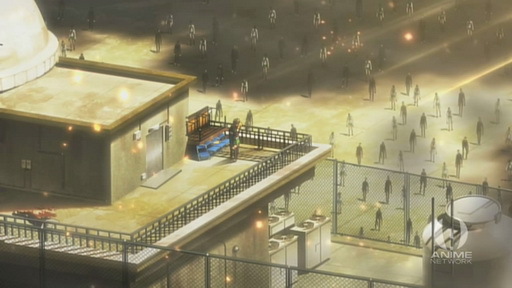 Since high school is the primary setting of more than 99% of anime (That was another exaggeration), the name ‘High School of the Dead’ implies yet another typical anime and homage to typical zombie movies. I do not usually write first impression posts and this is not a first impression post. I watched this anime because the hype was so strong and the first episode created quite a commotion in the aniblogsphere. As I am writing this post, I have watched the first two episodes and I must say that the anime surprises me by its shear amount of clichés. 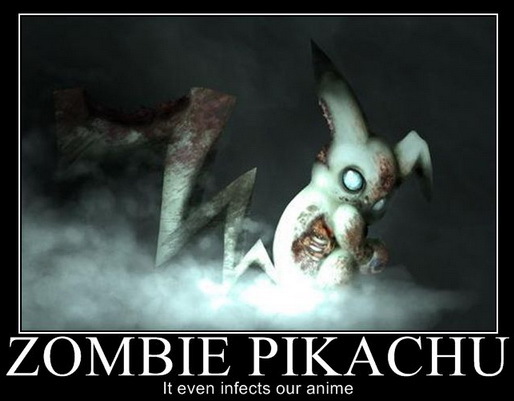 But what’s really interesting is that these clichés come from two different worlds; anime and zombie clichés. can only be killed with headshots. 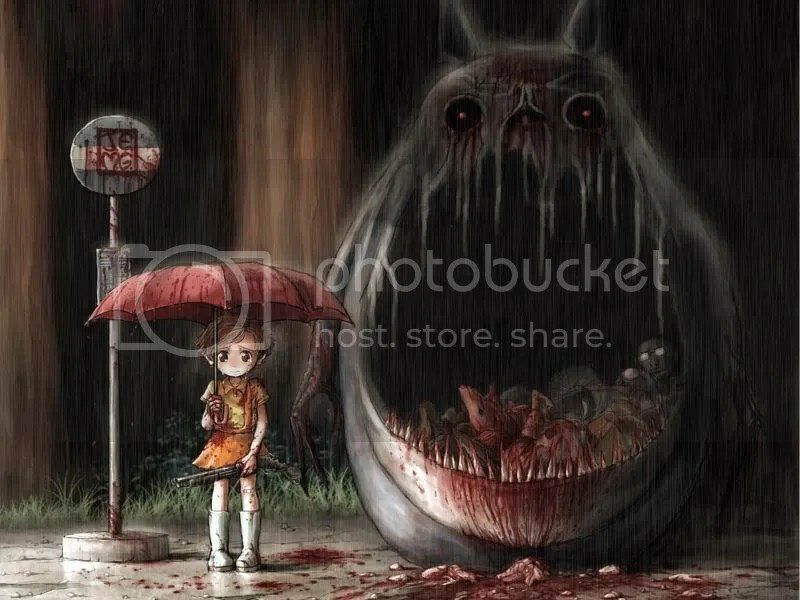 are never alone and always travel in groups. have no sense of personality. only retain basic instinct, namely hunger. transform into a strong fighter, regardless of personality or physical ability. High School of the Dead retains almost all of these stereotypical traits so far. It is really fun to watch just like how it was fun watching all those classic zombie movies. It is a shame how recent zombie movies tried too hard to be different and ended up inferior to the older ones. This anime brings those nostalgic feelings back and I am grateful. Maybe I should not be so surprised at how compatible anime clichés and zombie clichés are when put together since blood, comedy and fan service always work. That is a universal rule, after all. This entry was posted in Articles, Talks and tagged High School of the Dead, zombie cliches, zombies. Bookmark the permalink. Read this! You’ll love it. Hehe, thank you, that was a very nice article. Big boobed girl needs to die. However, she is the biggest source of fanservice, so I doubt they’ll kill her. At least not yet…. This show is the best of the season. Always go for the headshots, c’mon! Whoa, I gave up after 5 minutes of the first episode, and now I thought ‘Hmm, maybe someone will tell me if it’s UNIQUE in any way’ .. And here we go, you named every single cliche point of the serie. Well done indeed. Oh, now that I think about it, another dreadful disadvantage in my 5mins show was that whole bunch of scenes were PC-graphics-animated (or however ppl call it) and it looked hillariously lazy. Now just I’ll wait for the day when I run out of the Anime to watch, and MAYBE it will serve me as some kind of masochist experience. While it is a bunch of cliches, the fan service is something I haven’t seen much in zombie movies before. It’s pretty brilliant really. I had the manga recommended to me a long time ago, but I decided to wait until more chapters accumulated before I tried it out. But now I’ve officially made a move to try it out, I want to try reading some of it online before One Manga goes down, and if I like it I’ll buy it officially. I’m not sure if the manga is licensed or not yet. From what I heard (which was not much or reliable, by the way), far too few manga are currently licensed in the US. I really doubt closing down Onemanga will change anything except discouraging us from reading manga all together.